Inventors are the innovators. They&apos;re the ones who step across the line and dare to be the first to try something new. The Inventor Set is perfect for testing out possibilities, learning new techniques and showing boundaries who&apos;s boss. Available in two versions - Brights and Neutrals. 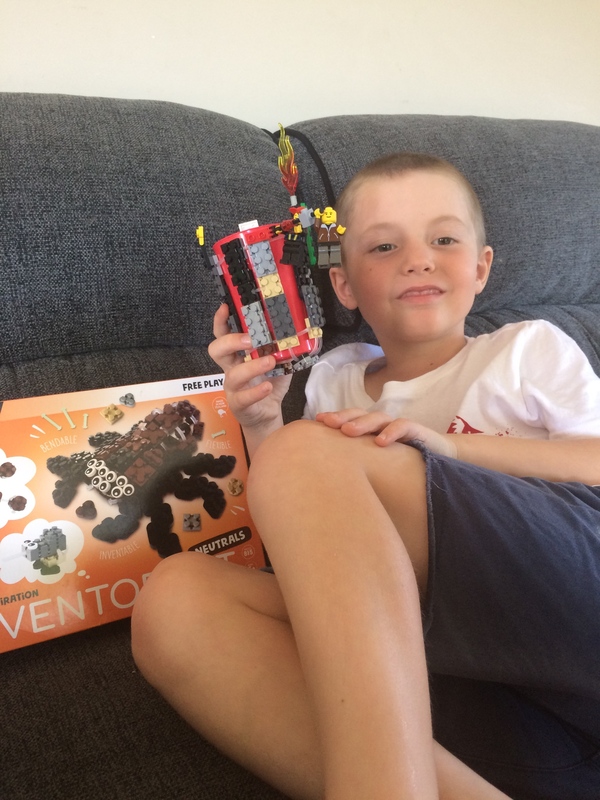 I had recently got some flexo to review and my son was that excited and happy with the set that he asked if I could buy some more for him and he specially asked for some that weren&apos;t in a kit and that he could create and use his imagination. 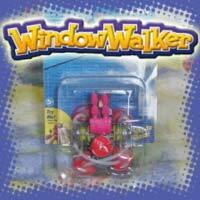 He was a happy boy when I had a look at the flexo website and put an order through. When the box arrived he wanted to drop all his plans for the evening and just build. He was talking about heaps of things that he could do but what really caught his attention was that I used the AR app to see what would happen when hovering over the box and a cute looking spider came to live so he wanted to know how to build the spider. I could hear bricks been moved around in the storage box and short bits of silence followed by more scrounging around for pieces. He happily showed me the spider and it looks really complicated, I&apos;m just waiting to see if he used glow in the dark tendons as he wasn&apos;t sure if he had used the glow in the dark or the clear tendons. 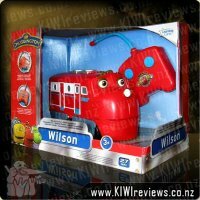 I have been asked to buy the brights as well and more tendons so he can keep his creations and do so much more. I would recommend that there are more eyes put in the box as we are kind of low on eyes but still have heaps of unused bricks that are waiting to be turned into something wonderful. 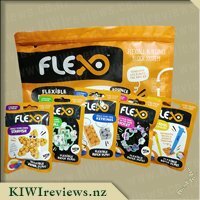 The kids were blown away by the amount of Flex s that we received from KIWIreviews, and wanted to open all of them straight away. I convinced them that we should do the Ocean Life Stingray and the foil packs first, so we had some idea of how these worked and what we had to do to make them, before going into this kit that gave us free range. The inventor set we received was the Neutrals, with a spider on the front that I can honestly say I was in no way keen to try and make, and hastely told miss 10 that was AN idea, not the ONLY idea. 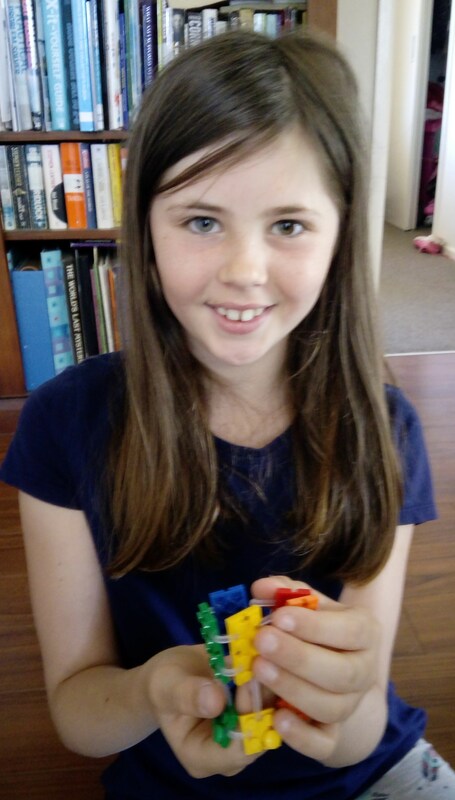 Miss 10 is like me and likes to have an idea of what she is making and she noticed that you could go onto the Flexos website and also youtube to get instructions and ideas of things you could make, so she set about doing that and coming up with some suggestions. She decided in the end to make a little house, as she thought the colours may make it look like a chocolate one! Having had experience with the others we had made, she was quite quick at figuring out what she wanted to do, and had great fun with her creation. She did remark that if she had the colourful kit it would make the house "better" but in my opinion I thought she did fantastic. Definitely will be buying more of these - they are great for the imagination and are different to other things the we already have. I can see that Master 5.5 will need a little bit of help for a wee bitlonger, but think it is a dexterity thing rather than an age per se. I tried these with my "bonus son" who has sensory issues - and he adored them - another plus in my book . I am very much looking forward to more sets, foil packs, and kits as these are awesome. 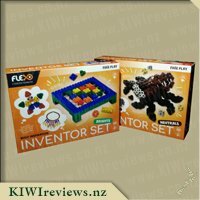 The inventor Set was the last set that we tried I thought it was best for us to try the sets with instructions to build a project before we set loose on flexo using only our imagination. Doing it this way helped us learn the techniques for joining the tendons and snapping the pieces together which was good for our playtime with this set as we already knew how to use flexo and had had expeirence making things with it. 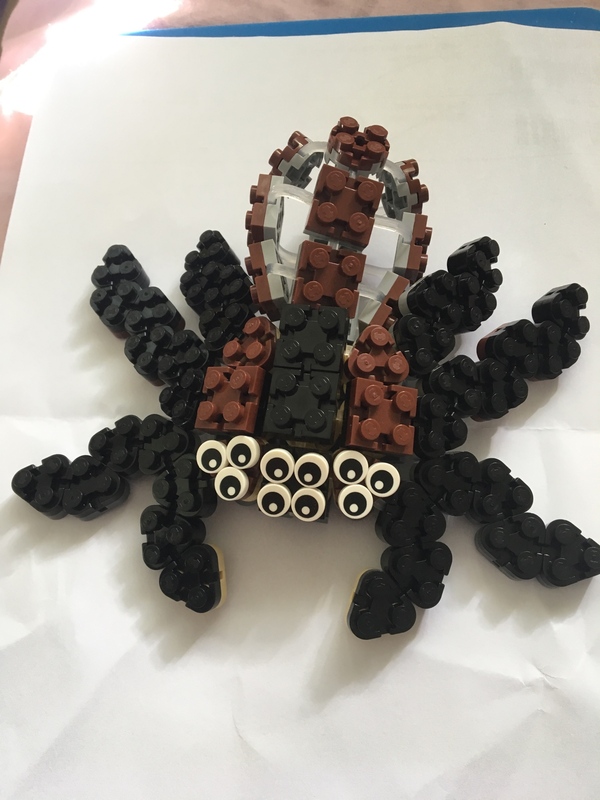 My son was most excited about this as he likes to be able to make his own creations even with things like lego and other construction materials. We set straight into making something at first without thinking about it o much first and created some pretty basic objects. 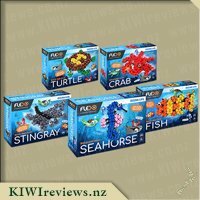 I found it easier to set out the bricks first into a shape I liked and then figuring out what size tendons I would need and where I would need to put them, kind of like the picture instructions provided in the ocean life kit we received to review. For me having a visual aid was most helpful my son was fine doing it without. We made a dog, and a cat in basic 2 dimensional form, which was perfect with the neutral colours of the inventor set we received. After this my son Cai wanted to try make someething more 3 dimensional so we made a ball like the mini space ball we received in the blind bags and then he set to work making a cup holder using the tendons to flex around the cup. He spent such a long time on this figuring out how to get the tnedons to stretch around a circular shape and was so proud of his creation. When it was finished he was happy to add some of his Lego pieces to add final touches to his cup holder which now takes pride of place as a pencil holder on his desk in his room. 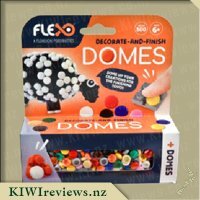 This in my opinion is a great set to start off using your creativity with flexo and we would love to one day soon add the brights set to our collection to so we can make some creations with a variety of colours. 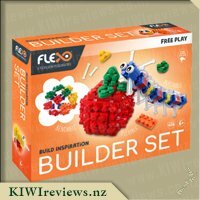 The set contains a great amount of the bricks and the tendons so you can create a number of objects with the set which is great. It did take us a long long time to break all the tendons of the tendon frames, but once it was done and we had sorted the sizes into our flexo stoarge container it made building a breeze as all the sizes needed were right there on hand and didn&apos;t need to be broken off the original sheet. Inventor set is so cool and I am so glad I was given the opportunity to receive it, and so was my ten year old son. He loves lego and so when this came he was excited as to give it a go and see what he could make. 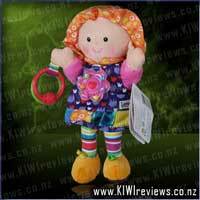 The parts where great with lots there to make many different objects. Also has a wee page of suggestions of stuff you can make with it. He played with it for a bit by him self to start with making different sea animals and then when my partner got home they sat down together and got creative making a under water theme. Once his cousin come over the pair of them both ten years old sat and played for a good couple hours which was great, as they normally on the iPad so that was great to see. 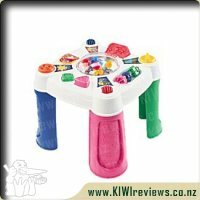 It was great as I found they sat at the table and they did not seem to make a big mess or drop much on the floor or they did not fight over pieces or get bored with it. It is great value for money and something you can come back to time and time again as long as you are keen to think of create new objects then you can play for hours. 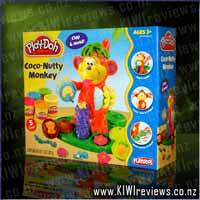 Would be recommending to family, it is great and affordable and also would make an amazing gift for kids party� ™s when you are unsure what the child maybe into, if you are prepared to pay the full price for the box set, maybe if it is on sale would be more in my budget for another kids birthday presents but for your niece or nephew I am sure they would be super excited to receive it. 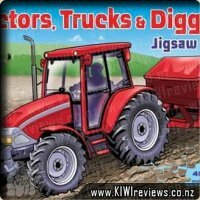 I know a few of my mates with kids similar ages would be keen for their kids to play with it so I will be introducing them when they visit next. I love building blocks and I love that my girls love building blocks! In this technologically addicted world we live in, I think it&apos;s great that they can escape from their tablets and be kids again and let their imaginations run riot! The Inventor Set comes with 200 bricks in blue, green, yellow, red and orange. 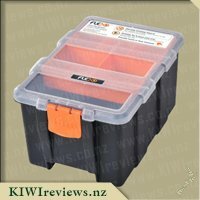 They are split evenly between 4 different shapes; an equilateral triangle, circle with axle hole, square and rectangle and the set includes 600 tendons, a Flexo multi tool and an Inspiration page. The Inspiration page details how to remove the tendons from the sheet (very handy!) 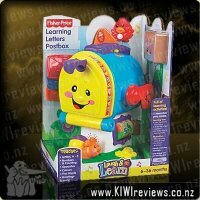 and shows pictures of a spider, ball, shark, kiwi and bug but to be honest, they only limit with Flexo is your imagination! My 8 and 10 year old daughter&apos;s had used Flexo before so once they emptied the set on the table they were away. The tendons are quite fiddly but they removed a row and used those first rather than have heaps laying around. They loved this set and made a caterpillar, a connecting rainbow and a wiggly worm! The tendons allow the building blocks to have movement which is so much fun and it&apos;s great that these are compatible with other building blocks. 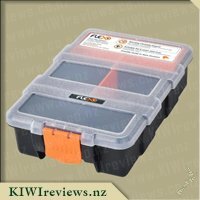 The set may seem a little pricey but to be honest, the branded LEGO is just as, if not more, expensive. The fact that this is a generic set means that it is more versatile and more fun can be had. 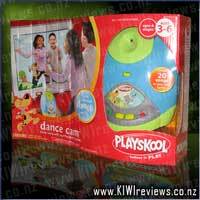 I enjoyed playing with this as much as my girls and I love that it is made here in New Zealand!